The Executive Board of the European Pet Organization (EPO), representing the interests of the European pet industry and aquarium trade, has appointed a new Secretary General. Roberto Hensen succeeds the late Secretary General Alex Ploeg, who was killed, with his family, in the tragic Malaysis Airlines Flight 17 downing over the Ukraine last July. Roberto Hensen will be acting Secretary General until his appointment is confirmed by the General Assembly next year. A native of the Dutch Caribbean Roberto Hensen M.Sc. has led several fish, shrimp, and reptile farms. Most recently, he was head of the Department of Agriculture, Livestock, Fisheries, and Nature on the tiny Caribbean island of St. Eustatius (“Statia”). In this role he was responsible for many issues related to animal welfare, CITES, invasive species, legislation and its implementation. 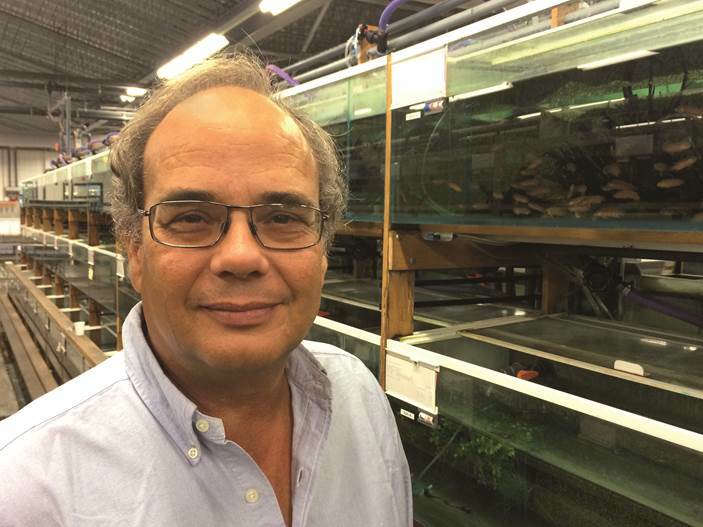 The biologist was also recently appointed Secretary General of Ornamental Fish International (OFI). “Roberto R. Hensen Msc. graduated in 1981 from the Rosenstiel School of Marine and Atmospheric Sciences in Miami/Florida/USA. Since then he has been active in tropical countries in South America as well as Asia in freshwater and marine aquaculture, for the production of ornamental animals as well as for food production. In these sectors the up-to-date knowledge of water quality makes the difference between success and failure. -From the author bio of his 2006 book, Water Quality in the Ornamental Aquatic Industry, by Roberto R. Hensen, Msc (AMAZON).